when she smiles down at them, the men have only one thing on their minds-Candy's hot, hard body as it dances and teases across the New Orleans nightclub stage. Candy (Tracy Vaccaro) is a srtip princess- young, beautiful and desirable-working in a sleazy world of wild women and reckless men. Mardy Gras fever heats up the action when Candy and a handsome stranger (Gordon Thomson) team up to save a historical landmark. Summary: A film stuntman wakes up after meeting a mysterious stranger to find out he was drugged, operated on, and is missing an organ. Attempting to track down the people responsible puts him in a deadly fight against the illegal trade in human body parts. Convinced her husband is cheating on her, Faith Moore succumbs to temptation-and spends a passionate night with a total stranger. But if Walter falls in love, it's forever. If he can't have her, no one can. Gordon Thomson was born on 2 March 1945 in Ottawa, Ontario, Canada. His nickname is Gordy. Height 6'2. When the Canadian native enrolled in Montreal's McGill University at age 18, he was headed for a more traditional career - architecture, law or whatnot. "Deciding to become an actor was very late-coming," he sighs, noting that it took 17 years of struggle, mostly in Canada, before he was suddenly wandering around the Carrington Mansion every Wednesday night. At the same time, he has had to deal with difficulties in his personal life. "My father died when I was 18," he begins. "He left home; it was sort of messy." Indeed, Thomson pere was killed while driving drunk with a girlfriend, prompting Thomson's mother to divorce him posthumously. The actor's one marriage ended in 1982, and he has remained notoriously guarded about his relationships ever since. The disappointments and damages have left him philosophical, and understanding of his characters' motivations. "I think we all have a dark side to us," he says. "I find that I can't trust sunny-natured people, people who are constantly sunny. I think that's major denial." By his own account, Thomson lives a somewhat reclusive existence nowadays. he eschews team sports, partly because of a prohibitive leg injury and partly because he just doesn't like 'em. He'd rather tend to the garden outside his rented Encino, CA home, sharing his time with four dogs (one is deaf and senile, two arthritic) and a cat. He had another dog, Jack, who was put to sleep when even acupuncturists couldn't cure his stomach disorder. From there, he landed the role of Mason on "Santa Barbara." 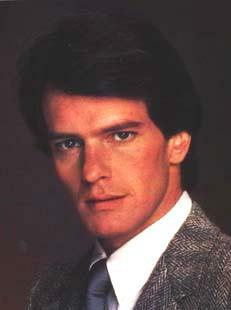 Gordon Thomson was chosen for the role of Mason Capwell on "Santa Barbara" in October 1990. He took over the role from Terry Lester, who had opted to leave the show. In the late 1990s, he appeared as Patrick Baker on "The Young and the Restless" for a few months. He was seen as A.J. Deschanel on "Sunset Beach." He also did guest stints on such primetime shows as "Murder, She Wrote," "Silk Stalkings," "Baywatch," "The Nanny," and "Beverly Hills, 90210."